1st County Gardening & Landscaping - Landscaper based in Greenhithe, Kent. At 1st county our team thrive to keep all our customers happy , with over 10 years' experience our team is always on hand to help with any project . 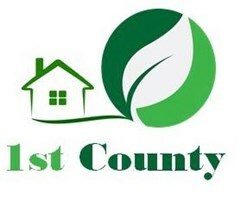 At 1st county we have been helping customers for over 10 years' transform there homes , we work together to insure all work is completed to our customers every need All work is carried to the highest quality and professionalism , we are always here to listen and answer any of your questions. We undertake projects for domestic homeowners, local authorities and commercial clients. We provide , Free No Obligation Quote and Guaranteed Fixed Price.